Good morning. I hope you've had a good week. It's starting to feel like Fall here in North Carolina. What a change! I think I'm ready for it. How about you? 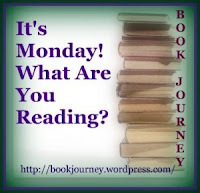 I wrote just one review last week: The Beach House by Mary Alice Monroe. I did a lot of reading last week. I finally got out of the slump I was in. I finished The Missing Place by Sophie Littlefield. It was a good mystery. I hope to write my review for that one this week. 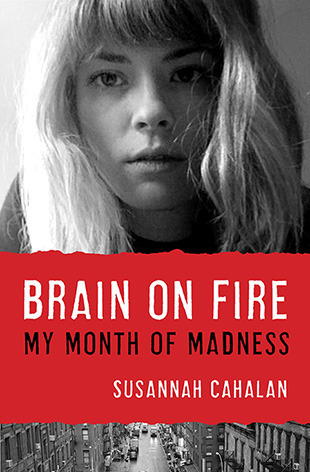 I also read my September book club selection: Brain on Fire: My Month of Madness by Susannah Cahalan. That was a fascinating memoir, especially if you are interested in the way the brain works! And it's only $5.99 for the Kindle version if you're interested! Now I'm about halfway through The Absolutely True Diary of a Part-Time Indian by Sherman Alexie in preparation for Banned Books Week next week. C has finished the last book in the Swindle series by Gordon Korman. 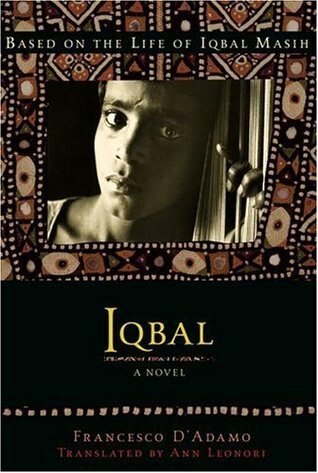 He also read Iqbal by Francesco D'Adamo for school. I may read that one. It sounds very interesting. M has been busy reading a lot of Magic School Bus books, and watching the shows on Netflix too! I had forgotten about it too but decided to get my calendar organized with all the upcoming events (fall is a busy time for me) and realized it was this month! Oh, my gosh...The Absolutely True Diary of a Part-Time Indian was sooo good! I listened to it on audio years ago. Great choice! It was just brought to my attention that Banned Books Week is coming up today. I am thinking of re-reading Catcher in the Rye (which I last read when I was 16 and don't remember at all!) and probably a teen novel, too. My sons used to love Magic School Bus, both the books and the TV show! I had heard good things about Brain on Fire. And I like that you used Fascinating to describe it. Going to check it out! im so jealous, everyone is talking about fall and changes and apple orchards and pumpkins and im down here in florida in the 100+ degree weather, ugh. so not fair! We read The Absolutely True Diary for my book club with adults - and we all enjoyed the novel. Lots to discuss and explore in group discussion.